On Saturday, June 24th, 2017, we will have the KM 2017 Conference Social Event tour. The day will start with a pickup from our hotels (bus will pick up first at the Hotel Pri Belokranjcu, later at Hotel Krka, and then at Sport Hotel Otocec). 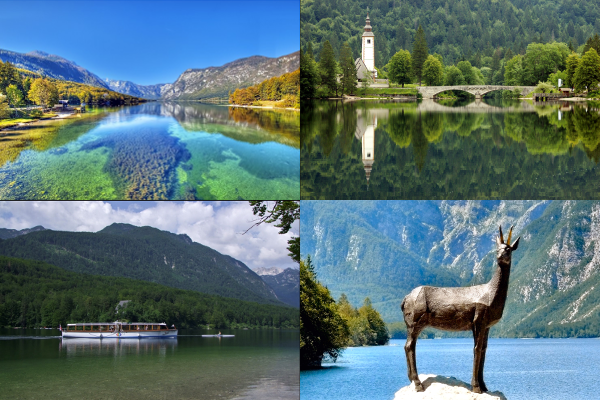 We will have one English speaking guide and start the day with an amazing drive to the magnificent Bohinj Valley, where we will board a boat and cross Lake Bohinj to admire the mighty Alps mountains that surround the lake. The bus will then take us to Bled ("In the midst of the Alps lies a town with the world renowned intact nature and idyllic formations it created"), where we will visit Bled Castle and also enjoy the beautiful view of the lake and its surroundings. Then, we will start driving back and stop for lunch. After half an hour drive we will make the last stop in the city of Ljubljana - the Capital of Slovenia. There we will walk through the city center and the old town. Finally, we will be drive back to Novo Mesto and the hotels.